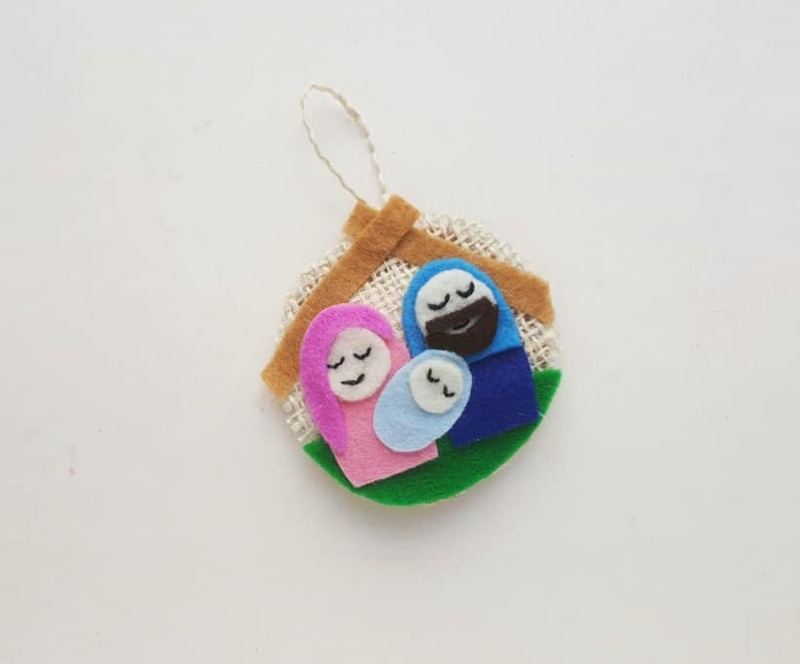 You know I love DIY felt ornaments and nativities, so this adorable Felt Nativity Ornament is one of my favorite ornaments this year! 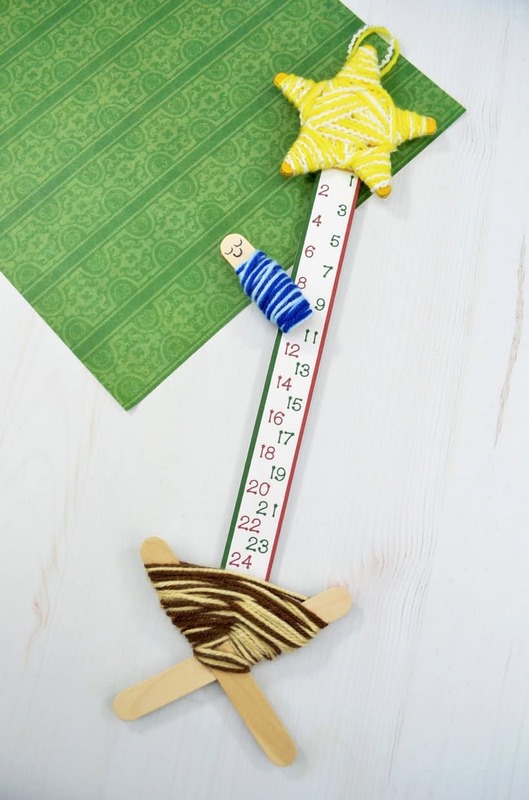 Grab your kids and some craft supplies, and get ready for a fun Christmas craft! 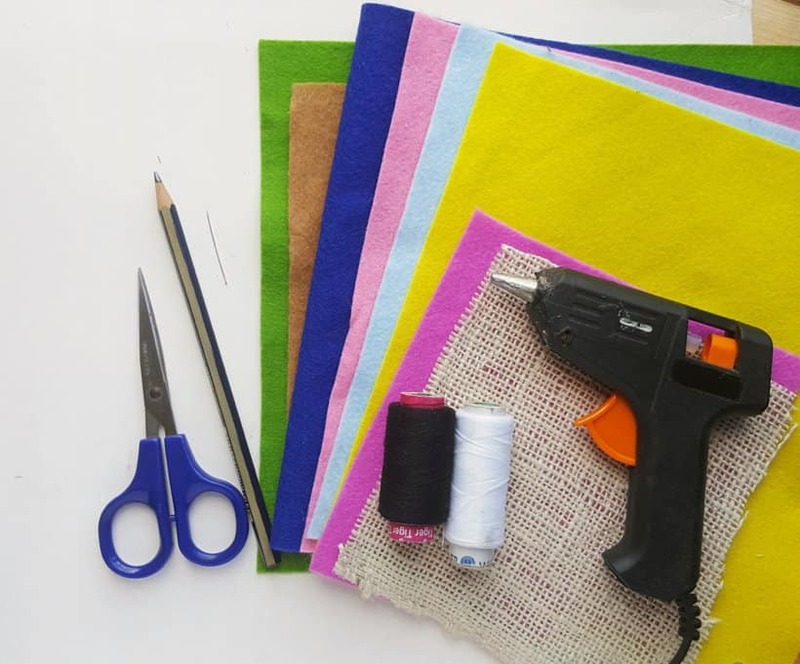 Prepare the template patterns by printing and cutting them out. 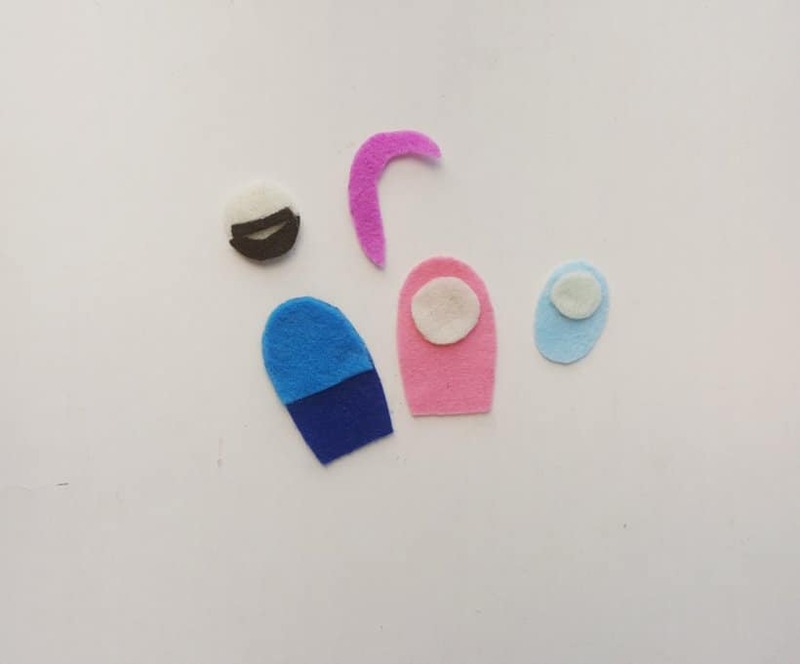 Select felt fabrics for the ornament; you can also use scrap felt fabrics for this craft! 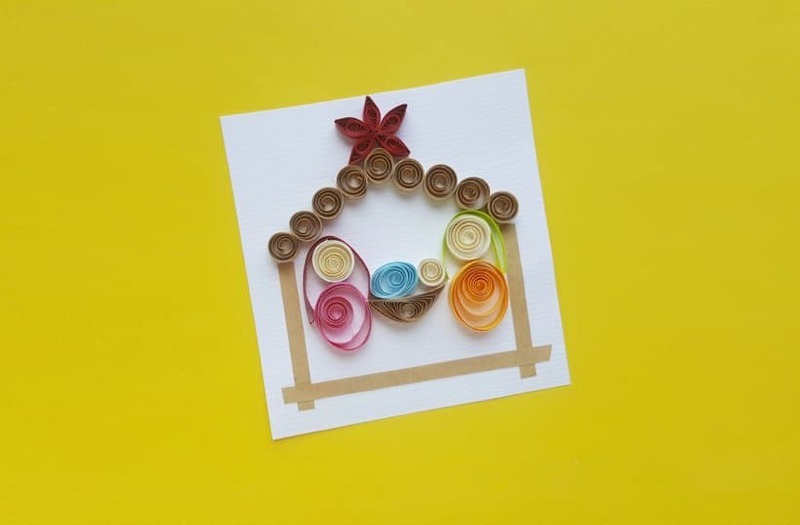 The template includes 2 big round shapes (the ornament base), 1 semi circular shape (ground or bottom side of the scene) and 2 strips (the roof). 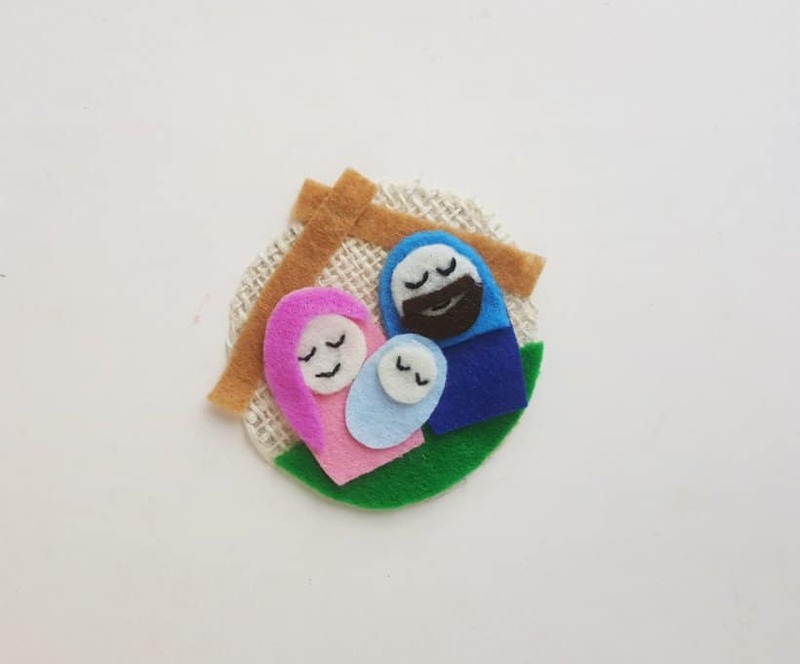 Baby Jesus – 1 oval and 1 circle, Mary – 1 circle, 1 arch shape (robe), 1 cane pattern (scarf), Joseph – 1 circle, 1 small arch (bottom part of robe), 1 big arch (robe), beard and moustache pattern. 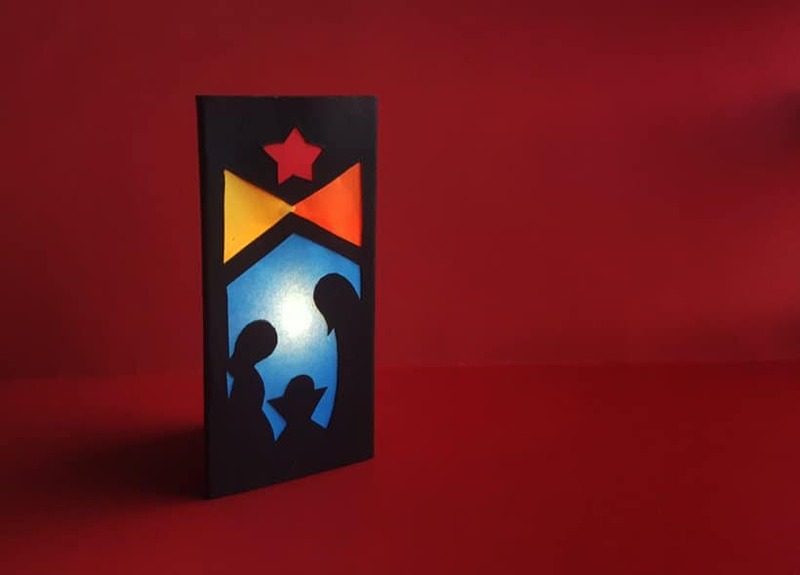 Gather the cut outs that will create the baby Jesus, Mary and Joseph. 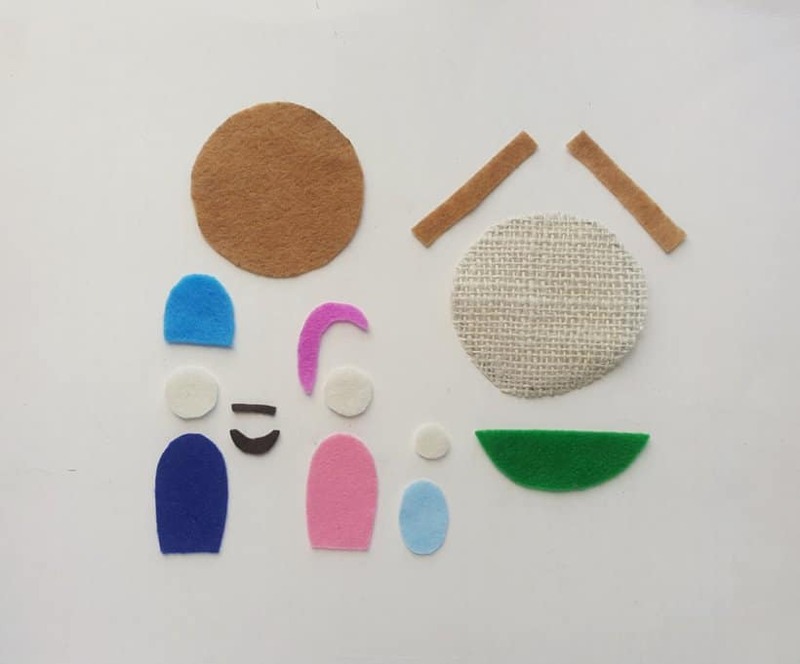 Glue the circle pieces onto the robe pieces for baby Jesus and Mary figures; for Joseph figure, glue the small arch shape on the top end of the big arch shape. Next, attach the beard and the mustache pieces on the circle piece for the Joseph figure. 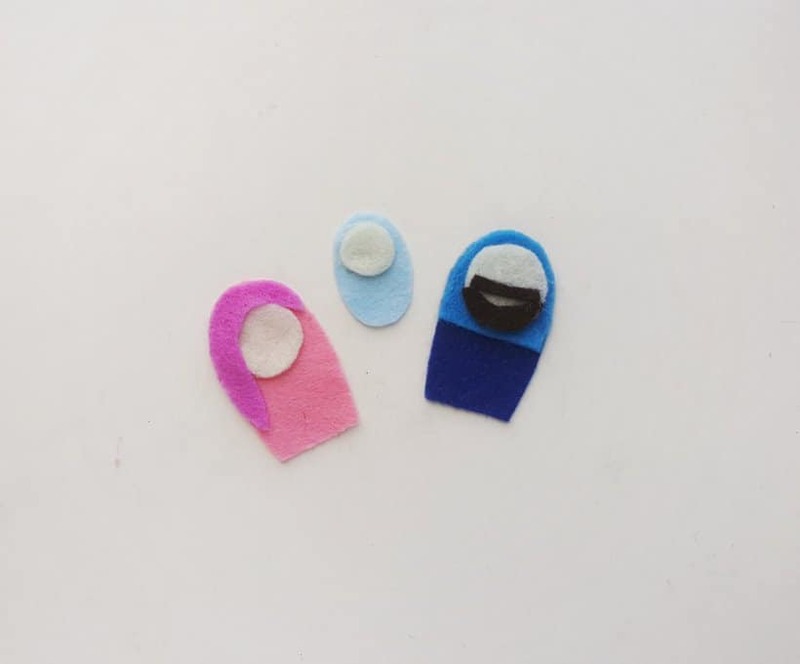 Attach Joseph’s head to his robe and attach the felt scarf to Mary. 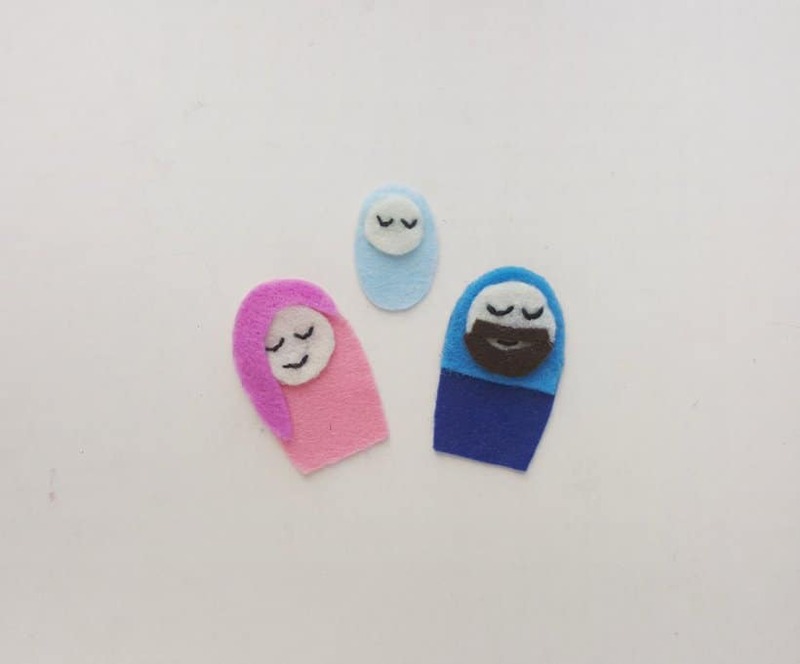 Use a black permanent marker to draw the eyes and lips of baby Jesus, Mary and Joseph. (optional) Use black thread to backstitch along the eyes and mouth. Attach the semi circle to the bottom of the circle that will be the front of your ornament. Make sure to match the curved ends of the semi circular cut out and the base. Now, attach the 2 strips on the opposite side of the circle to create the stable roof. All items ready? Time to join them together! 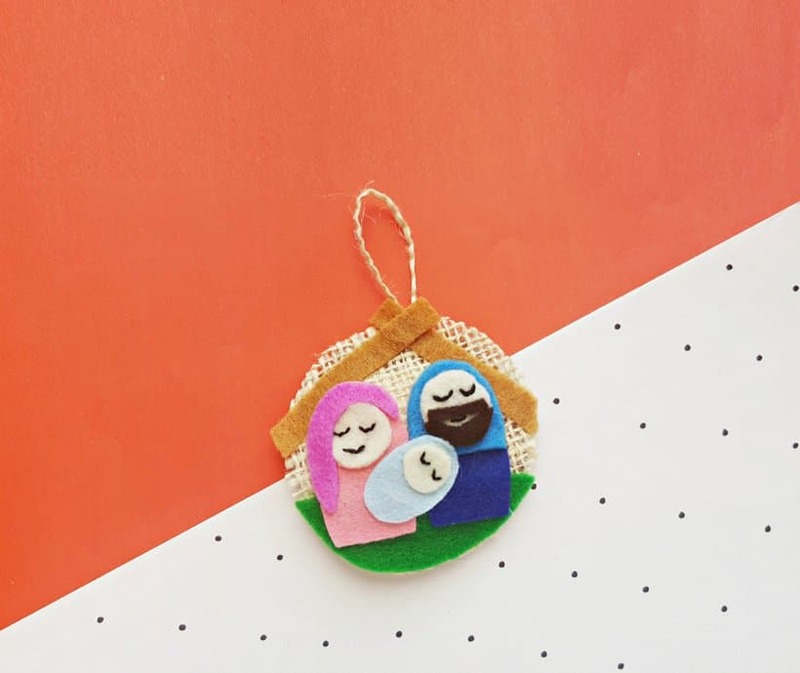 Attach Mary, Joseph and baby Jesus figures on the front circle using hot glue. Take the back part of the ornament base. 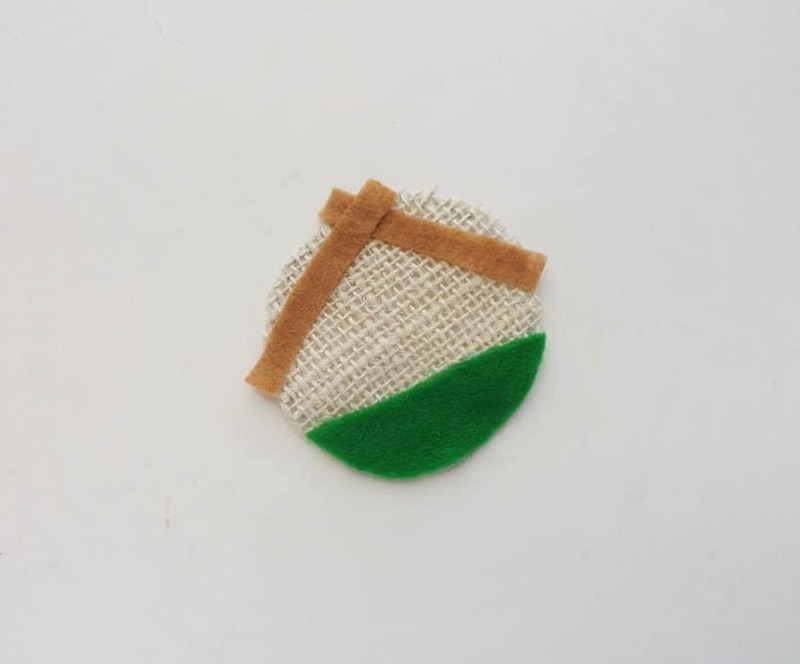 Cut a small piece of burlap string and fold it into half. 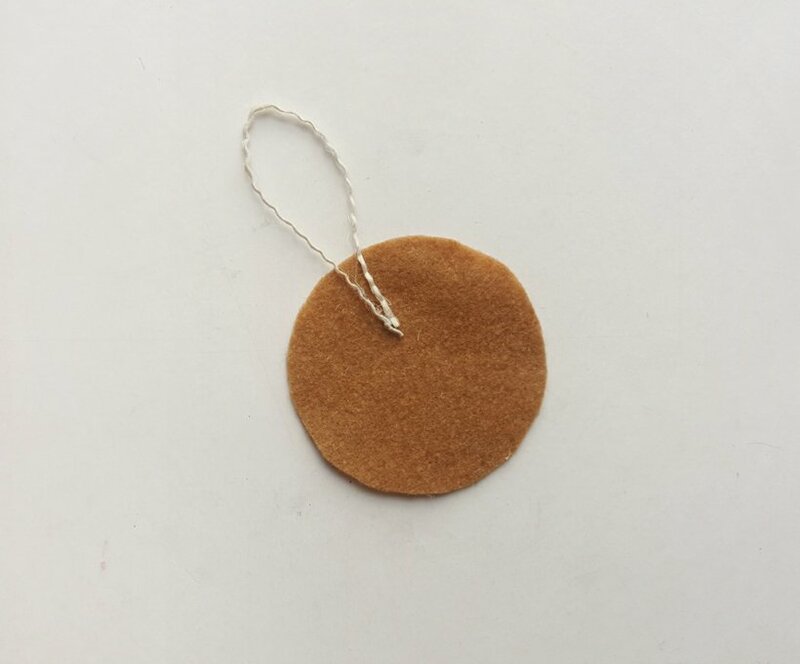 Use hot glue to stick the open ends of the burlap string loop with the back base of the ornament. Finally place the nativity scene felt base on the top of the back base. Apply hot glue around the sides to join both pieces together and complete the ornament. 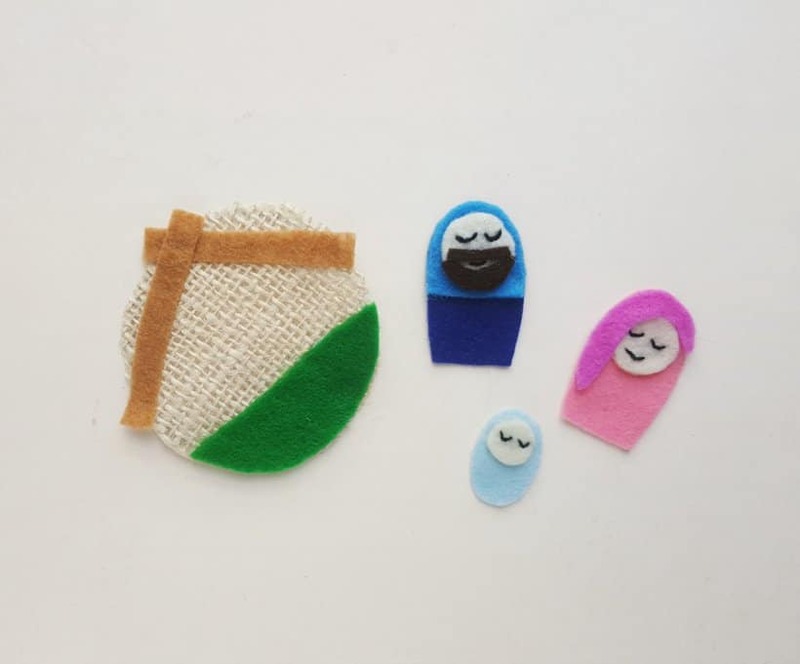 If you love nativity crafts be sure to check these out too!